A new report suggests that the popularity of e-readers is falling dramatically. The report, by Digitimes Research, is brief and lacks much in the way of background information. But according to them, only 2 million e-readers are expected to be shipped during the first quarter of 2012. That’s down from 9 million that were shipped during the fourth quarter of 2011. Digitimes Research put the ‘blame’ for the decrease in numbers directly on the Amazon Kindle Fire. 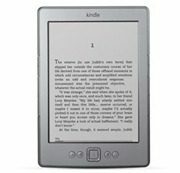 They say that the release of the Fire is causing a ‘substitution effect,’ cannibalizing Kindle e-reader sales in favor of Kindle Fire sales. 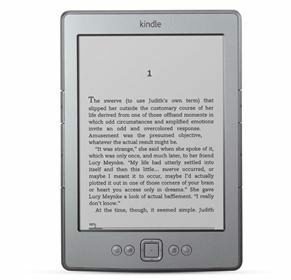 Not mentioned was the popularity of e-readers as gifts during the 2011 holiday season, which occurs during the fourth quarter, which would have boosted fourth-quarter shipments. A decrease in shipments going into the first quarter of the new year would normally be expected. But the dramatic decrease in numbers may foretell of a long term change in the wind. With the dropping prices for tablets, and the merging of tablets and e-readers in many ways, the popularity of the e-reader as a device by itself may be fading. By this time next year, will e-readers still be on the market… or will everyone just use tablets?